Was it an airplane? A missile? An honest-to-goodness unidentified flying object? For a couple of days, a mystery swirled around a long bright streak that was caught by a webcam pointing up from Western Washington’s Kitsap Peninsula. Now the mystery has been solved. But it wasn’t easy. 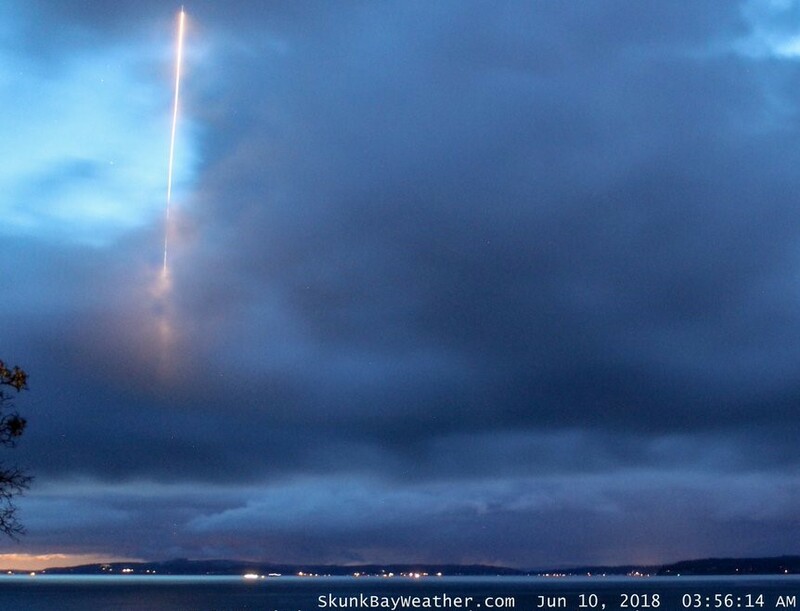 It took a couple of days for Tyler Rogoway, a writer who specializes in the hush-hush corners of aviation, to figure out what was in the 20-second time-lapse webcam view, which was captured on Sunday by a camera pointed toward Whidbey Island. This entry was posted in GeekWire and tagged Science, UFOs. Bookmark the permalink.